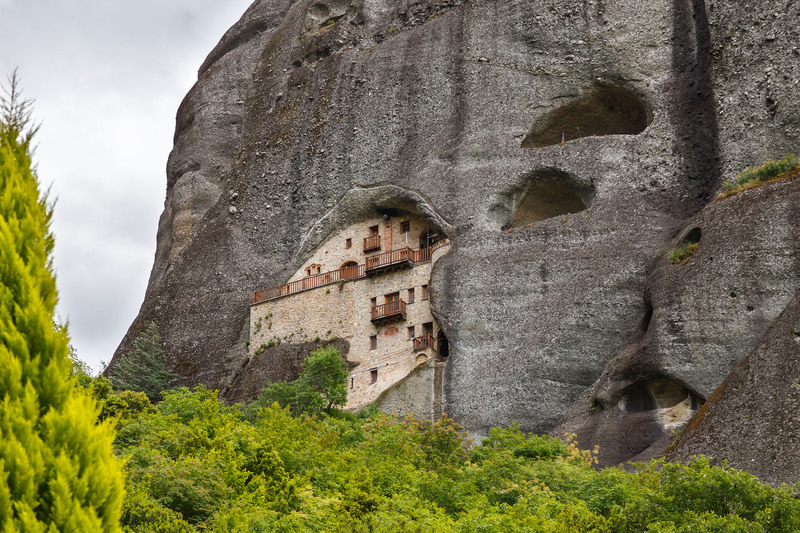 The first ascetics began to come to Meteora as early as the eleventh century. At first they created the so-called proseuchadia, or small places of prayer, next to or inside the caves that served as their hermitages. 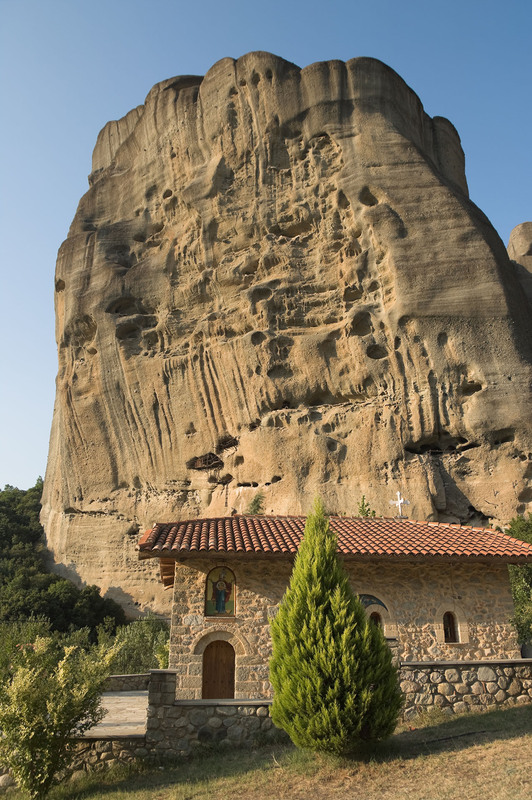 As a result of the awe-inspiring self-denial of these long-suffering ascetics and stylites (pillar-dwellers), who established the solitary, ascetic way of life on these rocks, Meteora was henceforth regarded as a holy place. The first monastic community to be formed in the twelfth century was the Skete of Doupiani with the kyriakon (central church) of Panagia, the Virgin Mother. 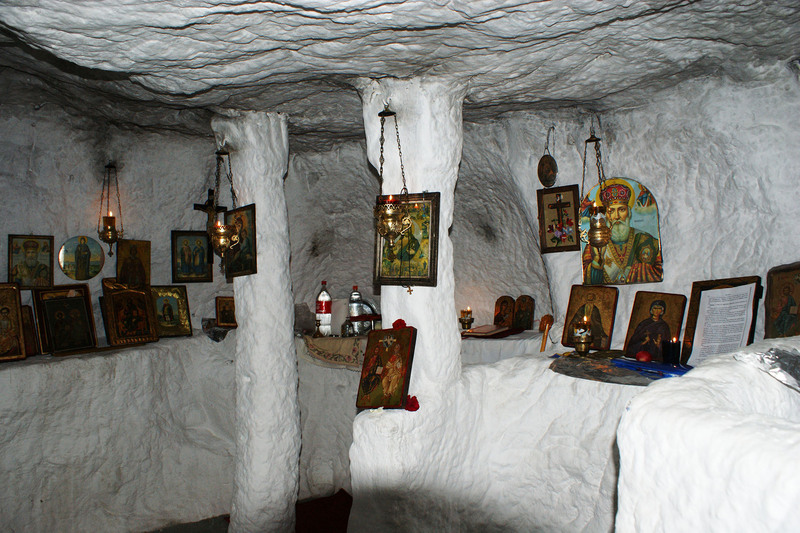 The pious cave-dwelling ascetics would gather on Sundays and on important feasts in the kyriakon of Panagia Doupiani (Virgin Mother of Doupiani), on the southwest part of the rock forest above Kastraki. In the sixteenth century, the Skete of Meteoron and the nineteen small monasteries that were under its jurisdiction developed. 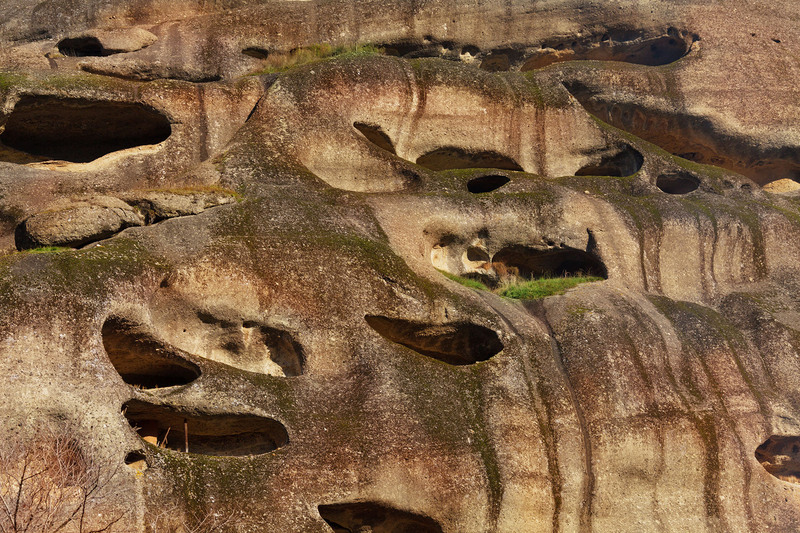 During the fourteenth and fifteenth centuries, ascetics attempted to ascend to higher rock pillars, with the help of stakes and ropes. Over the centuries a total of forty-one monasteries and hermitages were established. 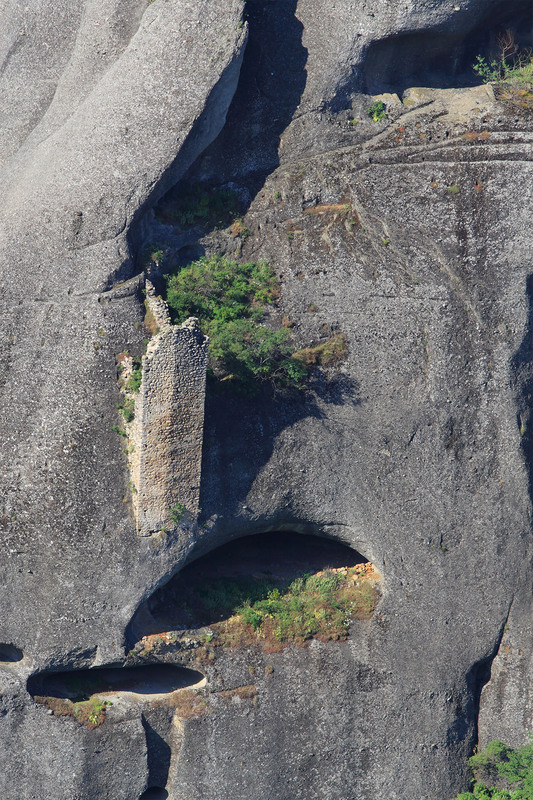 Six of these remain in central Meteora and house organised monastic communities. These are in order: 1. Agios Stefanos Monastery (St Stephen); 2. Agia Trias Monastery (Holy Trinity); 3. Monastery of Rousanou or Agia Varvara (St Barbara); 4. Agios Nikolaos Anapausas Monastery (St Nicholas Anapausas); 5. Varlaam or Agioi Pantes Monastery (Barlaam or All Saints); 6. Megalo Meteoron or Metamorphosis Monastery (Great Meteoron or Transfiguration). Three of the old monasteries and hermitages have been restored to their original state. These are the Hypapanti (Presentation of Christ in the Temple; a dependency of the Great Meteoro), St Nikolaos Bandova and St Antonios Bandova (dependencies of the Holy Trinity Monastery).